Gorgeous boys suit from Tip Top Kids perfect for every special occasion. Single breasted solid color suit set is made of 5 pieces: 2 button jacket, vest, shirt, tie and pants. It comes in ink blue color for a look that is both polished and distinctive. 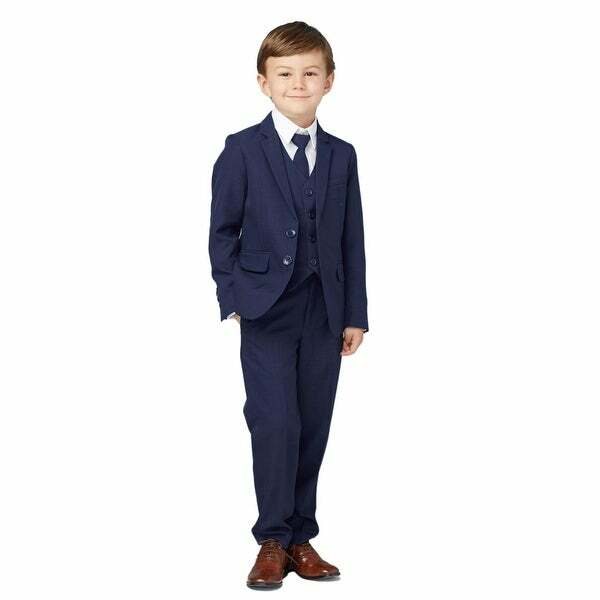 This special occasion suit in dark blue is a flattering style for your boy.